EYP announced that award-winning architect David Watkins, FAIA, will retire as the Healthcare Leader of EYP Health on July 1, 2017. He will continue to serve on EYP’s Board of Directors. The legacy of healthcare design excellence and thought leadership at EYP Health will continue as current Senior Principal and Studio Leader Charles Griffin, FAIA, FACHA, EDAC, assumes the role of Healthcare Leader on July 1, 2017. As the founding principal of WHR Architects, Watkins’ esteemed career and his impact on the world of healthcare architecture spans 38 years, 50 million square feet of projects, and 35 million square feet of healthcare space. Over the years, he built a nationally recognized team of design and thought leaders that transformed WHR from a two-person practice to 180-plus person firm. During his tenure, the firm worked closely with a number of healthcare institutions at the renowned Texas Medical Center in Houston, designing more than 11 million square feet of healthcare space, which supported growth and expanded the influence of the practice. Watkins also oversaw the establishment of offices in Dallas, New York, Raleigh, and Denver. In 2014, WHR merged with EYP, and earlier this year brought to the team Stanley Beaman & Sears Architects of Atlanta to create EYP Health. Watkins co-authored the first definitive book on evidence-based design, Evidence-Based Design for Multiple Building Types, with his co-founding partner Kirk Hamilton in 2008. 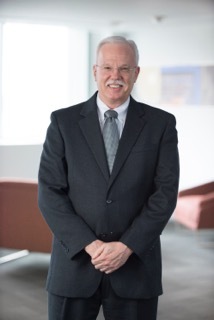 Throughout his career, he continually shared knowledge with his healthcare colleagues as a speaker, author, and in leadership positions in the American Institute of Architects (AIA) including as President of the Texas Society of Architects and as National Vice President of the AIA. He also previously served as a director of the National Architectural Accrediting Board, representing the AIA, and currently, serves on the Board of Advisors for the school of architecture at Clemson University. Griffin, a nationally recognized leader in healthcare architecture, was the 2014 President of the Academy for Architecture for Health where he strengthened the organization’s position as a thoughtful voice for architecture at a time of dramatic change in healthcare. As a key part of the firm’s leadership, he has taken an active role in the growth and development of the practice, and served principal-in-charge of EYP Health’s growing North Carolina office. Griffin’s portfolio includes over $2 billion of award -winning healthcare projects in Texas, North Carolina, and New Jersey. Under Charles Griffin’s leadership, EYP Health is well positioned to continue to positively impact healthcare delivery nationally through advances in research, planning and design across the full range of of healthcare project types. EYP Health will focus on clients’ pressing healthcare needs nationwide, including behavioral health and children’s health. Recent and upcoming national healthcare experience includes work with: UCHealth’s Longs Peak Hospital, Longmont, Colorado; Stamford Health’s New Hospital in Stamford, Connecticut; Jersey Shore University Medical Center Cancer Center in Neptune, New Jersey; Children’s Medical Center Dallas; Memorial Hermann Hospital’s Texas Trauma Institute and Houston Methodist’s North Tower Expansion in the Texas Medical Center. Internationally, EYP Health is working on the Bispebjerg Somatic Hospital in Copenhagen, Denmark.